Price Reduced!! Enjoy the country in this 1500 square feet unique home including 2 bedrooms and a loft that can be used as a 3rd bedroom. The spacious great room has a vaulted ceiling with a loft and skylights. 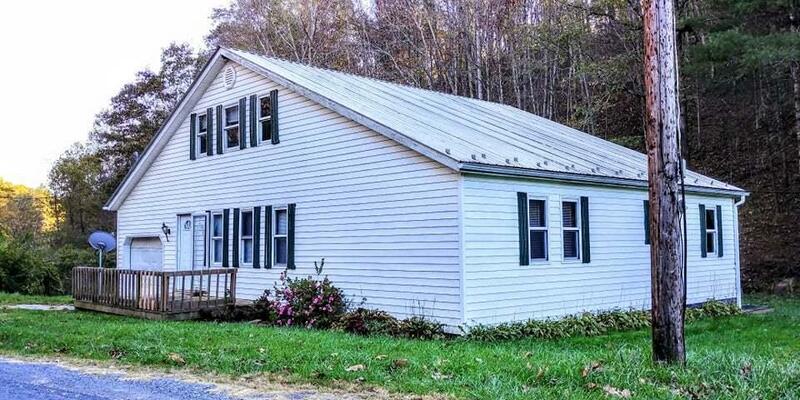 An oversized kitchen, large laundry room, walk in attic and an attached garage on 0.75 acres. There is also 10 acres that may be purchased to enhance your new home. With a 3 acre field and wooded hillside this land is a good area to hunt deer and turkey..